Legislators who headed out of town on Friday for a month have already decided the fate of many key bills. Gov. Jerry Brown has signed a much debated child vaccination law that eliminates the personal belief exemption to school-required vaccinations. All of the bills to rewrite the teacher evaluation law have been defeated or appear, at least for now, delayed until next year. Efforts to rescind last year’s limit on school districts’ reserves have foundered. But when they return in mid-August, lawmakers will take final action on key bills that remain very much alive: suspending the high school exit exam; expanding preschool for low-income children; and creating new options for high school students to take community college courses. Here’s an updated look at legislation that EdSource has tracked. SB 499, by Sen. Carol Liu, D-La Cañada Flintridge, and Senate President pro Tem Kevin de León, D-Los Angeles, would rewrite the Stull Act, the law outlining teacher evaluations, with a locally negotiated “best practices” system with at least three performance categories, instead of the current pass-fail system. The Assembly version is AB 575, by Assemblyman Patrick O’Donnell, D-Long Beach, and Assembly Speaker Toni Atkins, D-San Diego. Why it’s important: Lawmakers, in the wake of the Vergara lawsuit ruling, are facing pressure to rewrite the teacher evaluation law. This version would be more acceptable to teachers unions than Republicans’ alternatives. Status: The Senate passed SB 499. Its Assembly counterpart, AB 575, squeaked by with one vote to spare. But Liu and O’Donnell pulled their bills from further consideration amid substantial opposition from organizations representing school boards and school administrators, who oppose the provision giving local teachers unions the power to negotiate the content of a teacher’s evaluation. With a waiver from the Rules Committee, either bill could be taken up again next month. But unless there’s a breakthrough in negotiations, it appears that both bills will be taken up again next year. Also of note: AB 1184, by Assemblywoman Nora Campos, D-San Jose, would permit a third year of probation specifically for San Jose Unified. It too is now a two-year bill; it will be reintroduced in the next legislative session. Assemblywoman Shirley Weber, D-San Diego, presented AB 1495 as a compromise rewrite of the Stull Act, the law outlining teacher evaluations. Although Democrats killed the bill in committee, Weber’s impassioned call for fellow Democrats to support it went viral. AB 1078, by Assemblywoman Kristin Olsen, R-Modesto, also would have rewritten the Stull Act to require annual teacher reviews using four evaluation categories, instead of the current pass-fail system, with incentives to include the use of standardized test scores as a factor. Why it’s important: Assembly Republicans introduced a series of bills in response to the Vergara decision overturning teacher labor protection laws. They included AB 1044, by Assemblywoman Catharine Baker, R-San Ramon, banning layoffs exclusively by seniority, and AB 1248, by Assemblyman Rocky Chavez, R-Oceanside, extending probation leading to tenure from the current two years to three years. Status: All three Republican-authored bills were defeated in the Assembly Education Committee on party-line votes. AB 141, by Assemblywoman Susan Bonilla, D-Concord, would require all districts and county offices of education to provide and pay for the Beginning Teacher Support and Assessment (BTSA) program. This would be a state-mandated program. Why it’s important: BTSA, once a national model for training new teachers, has withered with the end of state funding of the program under the new Local Control Funding Formula. Status: AB 141 passed the Assembly and the Senate Education Committee before the summer recess and now goes to the Senate Appropriations Committee. The final state budget includes $500 million to improve teaching quality and effectiveness, which would include induction programs such as BTSA as well as professional development in the Common Core and other new academic standards. Also of note: SB 62, by Sen. Fran Pavley, D-Agoura Hills, would modify a student loan forgiveness program, called APLE (Assumption Program of Loans for Education), for as many as 1,000 teacher candidates annually willing to teach in low-income districts in subjects that are in high demand, such as science, math and special education. SB 62 passed the Senate and the Assembly Education Committee before the summer recess. This year’s state budget included no appropriation for what’s projected to cost tens of millions of dollars each year. AB 288, by Assemblyman Chris Holden, D-Pasadena, would allow K-12 and community college districts to create partnerships to expand opportunities for dual enrollment, in which high school students concurrently take community college courses. Why it’s important: Research indicates that dual enrollment reduces the need for remedial courses and increases the odds of college graduation. However, several bills to expand opportunities for high school students to take college courses have stalled over questions about funding and implementation. Status: AB 288 was passed by the Senate Education Committee July 9. It had passed in the Assembly previously. It next goes to the Assembly Appropriations Committee. Also of note: AB 889, by Assemblywoman Ling-Ling Chang, R-Diamond Bar, would expand dual enrollment in Science, Technology, Engineering and Math (STEM) courses. AB 889 died in the Assembly Appropriations Committee. AB 47, by Assemblyman Kevin McCarty, D-Sacramento, would require the Department of Education to report to the Legislature and Department of Finance, by June 1, 2016, a plan for expanding the state preschool program to all eligible low-income children who do not have access to one year of state preschool or transitional kindergarten. The bill would require the report to contain an analysis of the need for new facilities for the preschool program. Why it’s important: Last year, state lawmakers, led by then-Sen. Darrell Steinberg, said they would make good on their promise to expand state preschool programs by 31,500 slots to accommodate all low-income 4-year-olds in California. This bill nudges lawmakers and Gov. Brown to discuss the issue, which is likely to be resolved through the budget bill. Status: AB 47 passed the Assembly and is in the Senate. On July 8, the Senate Education Committee passed the bill, which is going next to the Senate Appropriations Committee. The final state budget agreement includes 7,000 full-day preschool slots plus 2,500 part-day slots, with priority given to children with special needs. AB 631, by Assemblywoman Susan Bonilla, D-Concord, would require that $900 million in a one-time allocation from Proposition 98, which finances K-14 education, be used to increase funding to implement the Common Core State Standards. Why it’s important: The switch to new academic standards in math and English language arts requires the purchase of textbooks and technology to implement new online tests and extensive teacher training – an expensive undertaking. This bill would require that districts spend dollars implementing the Common Core that otherwise they could spend however they want. Status: AB 631 failed to move out of the Assembly Appropriations Committee but the intent made its way into the final state budget. The budget includes $3 billion in one-time expenditures that Gov. Brown encourages – but does not require – be spent on implementing the new academic standards. An additional $500 million must be spent on improving teacher quality and effectiveness, which districts can use for professional development in the Common Core and Next Generation Science Standards. AB 854, by Assemblywoman Shirley Weber, D-San Diego, would expand Foster Youth Services to include foster youth who live with relatives. Why it’s important: Estimates say that from one-third to two-thirds of foster youth live with relatives, who often cannot afford the counseling and tutoring services the young people need. The foster program does not pay for those services if the youths are living with relatives. Status: AB 854 passed the Assembly and the Senate Education Committee. It is now in the Senate Appropriations Committee. If it passes that committee, it will go for a vote before the full Senate. There was some opposition to a change in the funding mechanism. Six school districts that historically have received funding for Foster Youth Services directly from the state will now have to go through their county offices of education. The final state budget allocated $10 million more beginning in 2015-16 for Foster Youth Services, which currently receives about $15.4 million. SB 172, by Sen. Carol Liu, D-La Cañada Flintridge, would suspend the state high school exit exam, a requirement for a high school diploma, for three years, starting in 2015-16, while the panel investigates creating a new test or other ways to satisfy graduation requirements. Why it’s important: The current high school exit exam, which tests skills at the equivalent of 9th-grade English and middle school math, is not aligned with the new Common Core State Standards. As a result, students are being tested on standards they aren’t taught. Status: On July 1, the Assembly Education Committee passed the bill with a major change — the exit exam would be suspended starting in 2014-15, meaning it would be halted immediately. The bill goes on to the Assembly Appropriations Committee. SB 191, by Sen. Marty Block, D-San Diego, would establish a uniform funding formula providing districts with 50 percent of the cost of home-to-school transportation over the next seven years. Why it’s important: The adoption of the Local Control Funding Formula in 2013 froze the existing level of bus transportation funding under an inequitable formula with widely disparate rates of reimbursement. This bill would correct the inequities. Status: The final state budget includes no new money for school transportation. SB 191 passed the Senate but Block suspended the bill from further consideration until next year. SB 277, by Sen. Richard Pan, D-Sacramento, and Sen. Ben Allen, D-Santa Monica, would eliminate the personal belief and religious exemptions that allow parents to opt out of childhood vaccinations required for school enrollment. Only a medical exemption would excuse a student from being vaccinated as required by state law. Why it’s important: In some areas of the state, only 30 percent of kindergartners are fully vaccinated. This low rate puts unvaccinated individuals, including infants and those who are immune-compromised, at risk of contracting potentially fatal contagious diseases, including measles and polio. Status: The bill passed the Assembly and the Senate. On June 30, Gov. Brown signed the bill into law. SB 645, by Sen. Loni Hancock, D-Berkeley, would allow after-school programs to close for up to five days without any reduction in funding. 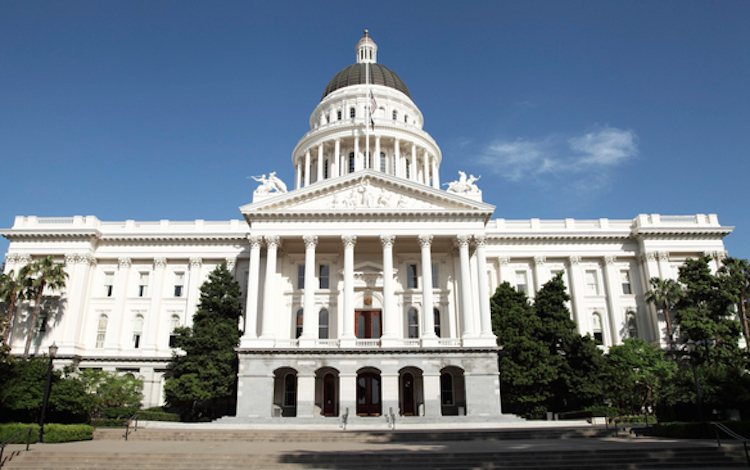 The bill would also make some technical changes, requested by the California Department of Education, to prevent increases in costs to the programs. Why it’s important: Stagnant funding is making it difficult for after-school programs to attract high-quality staff and provide enrichment activities. Studies have shown that the programs reduce the achievement and opportunity gaps between low-income students and their higher-income peers. The bill originally proposed increasing funding to the state program — which has received $550 million a year since 2006 — by $54 million in 2015-16 and $72 million annually thereafter, with cost-of-living adjustments. But the final budget agreed to by legislators and Gov. Brown eliminated any increase in funding. Status: The amended bill has passed the Assembly Education Committee and will next be considered by the Assembly Appropriations Committee. If the committee passes the bill, it will go to a vote before the full Assembly. SB 774, by Sen. Jean Fuller, R-Bakersfield, would repeal the limit on the size of budget reserves that districts could maintain in the year following a contribution by the state to a new state education rainy day fund under Proposition 2. The Legislature imposed the cap in 2014, although it would not take effect for at least several years. The ceiling on reserves would be no larger than 10 percent, depending on the size of a district’s budget. Why it’s important: The repeal of the cap is the California School Boards Association’s top priority for 2015. It argues that the cap would jeopardize districts’ financial stability by limiting how much they could save, and lead to lower bond ratings. Status: Fuller withdrew her bill, and a counterpart in the Assembly, AB 1048, by Catharine Baker, R-Dublin, was defeated in the Assembly Education Committee. Democrats and the California Teachers Association are promoting instead AB 531, by Assemblyman Patrick O’Donnell, D-Long Beach, which the school boards association characterizes as a distraction. AB 531 confirms that school boards already can vote to steer money for specific purposes, like buying a school bus, in a special “committed fund” account without exceeding the cap. The bill awaits final approval in the Senate. The school boards association has been running radio ads in some areas pressing for the reserve cap’s rescission and is still holding out hope. SB 359, authored by Sen. Holly Mitchell, D-Los Angeles, is the California Mathematics Placement Act. It would require all districts to establish and publicize objective criteria for placing students in math courses in 8th and 9th grades. Pushed by the Silicon Valley Community Foundation and civil rights groups, it responds to testimony and 2010 research by the Noyce Foundation that found capable minority students were held back from Algebra courses in 9th grade, taking them off the trajectory for admission to UC schools. Status: Passed the Senate and the Assembly Education Committee before summer recess. AB 252, authored by Assemblyman Chris Holden, D-Pasadena, would create the Advanced Placement STEM Access Grant Program, which would provide up to $8,000 in grants to eligible high schools to help cover the costs of creating or expanding AP courses in science, technology, engineering and math. The bill aims to boost the number of female, African-American and Latino students, who have traditionally enrolled in AP courses in biology, chemistry, calculus, physics, computer science, and statistics at lower rates than other student groups. Status: The state Assembly passed AB 252 on June 6. The Senate Education Committee passed the bill on July 8. It next heads to the Senate Appropriations Committee. SB 548, authored by Senate President Pro Tem Kevin de León, D-Los Angeles, would allow home-based childcare providers in state-subsidized programs to unionize so they can demand higher payments from the state and more timely paychecks from state-contracted agencies that distribute their money. Service Employees International Union, or SEIU, which wants to organize the providers, says it would affect tens of thousands of mostly women who often work below the state’s minimum wage. Status: The bill has passed the Senate and the Assembly Labor Committee. It is now in the Assembly Appropriations Committee. If the committee passes the bill, it will go for a vote before the full Assembly. AB 1012, authored by Assemblyman Reginald Byron Jones-Sawyer Sr., D-South Los Angeles, would forbid districts from assigning students in 7th through 12th grades to courses with no educational content for more than one week a semester. The bill also forbids assigning students to courses they already have taken and passed with a satisfactory grade, unless specific conditions are met. The bill is related to a lawsuit, Cruz v. California, filed in 2014 by Public Counsel and the ACLU of Southern California, on behalf of a group of students who said they had been assigned to multiple contentless classes during which they were told to go home, sit idly in classrooms or perform menial administrative tasks. In April, an Alameda judge denied a request for state intervention at six high schools named in the suit where students said they were being kept from receiving state-mandated instructional time. Status: The bill passed the Assembly on a vote of 79-0. It passed the Senate Education Committee and was referred to the Senate Appropriations Committee. SB 322, authored by Sen. Mark Leno, D-San Francisco, would make it harder for charter schools to suspend and expel students by requiring the schools to comply with disciplinary policies and procedures that are similar to those used in district schools. The bill also would forbid charter schools from establishing mandatory parental volunteer hours as a condition for enrolling in the school or staying enrolled. Status: The bill passed the Senate and passed the Assembly Education Committee. The bill has been referred to the Assembly Appropriations Committee. Nice, informative summaries. I appreciate and enjoy your reporting. What? Three performance categories for teachers’ evaluations? Then an “improved” bill with four? Why not go to a dozen or twenty? The number of performance categories is far more important than the quality of the process itself. On the other hand, a quality system including team evaluations, including teachers in a given academic field or grade level, with considerable training and calibration of evaluation procedures for all (administrators as well as teachers), and all of it using multiple measures and requiring quite bait of time will cost dollars. Let’s all dance around the perimeter of the real complexity involved and argue over vaporous concerns. How many performance categories can dance on the head of a pin? That’s what I want to know. Keep the union 100% out of influencing teacher evaluations. They had their chance. The system they influenced showed over 98% satisfactory. Clearly that isn’t true. Their only interest is in making the evaluations meaningless and maintaining the status quo. You need rankings and complex measures. Satisfactory or not satisfactory? You may as well just keep having seniority be the main factor if you are going to do that. Rankings should be a very complex combination of test scores and comparison to other teachers with students of the same demographic and previous test sore levels, student reviews, peer and principal reviews, parent reviews, number of absences over a 5-year period and number which were excused by a doctor or verified illness, training, etc. We should have a 1-1000 ranking with various factors all available for each teacher, very similar to the API rankings we have or schools. Mr. Floyd, I have seen that testing is being removed from all traditional California schools and therefore the teacher evals will be very very lacking, but what the heck, in a week or two, maybe that important high school exit exam is ended, over, so tests are being removed…yes? The tests are back this year. They really helped me raise my children better than I could have. Evaluations from teachers and tests and test prep books are very good at locating skill gaps and ensuring advanced scores in each category. There was a delay in the test. I think the union supporters and anti-testing far left are automatically against tests, but I believe tests are far more accurate than grades, especially if you have a child at Lowell High School in San Francisco which grades hard compared to other schools. These complaints about the Exit Exam are silly. To fail that test you have to be the kind of kid who simply doesn’t try, doesn’t study hard, doesn’t pay attention in class, doesn’t read for pleasure and doesn’t do math homework. While there may be exceptions in cases of recent immigrants and those with disabilities, the change to common core doesn’t change the basic skills this test measures, and I mean very basic skills. We are giving diplomas to people and telling them they didn’t do anything wrong when they constantly did just about everything wrong for an entire childhood. It’s better to be honest, if you fail that test you are at a skill level which will limit you to a very low income and you need to work harder from age 4 if you want to avoid that, and your parents need to work harder. There is a whole army of lobbyists who will come up with any excuse forever to criticize any test, and they do so to the detriment of our most disadvantaged hildren who need honesty, not false flattery.